When and where is C³ Crypto Conference happening? Berlin, Germany, known to the European tech community as “Silicon Allee,” will play host to C³ Crypto Conference. Not only is Berlin home to C³’s founder, Dennis Weidner, but also many crypto/blockchain-related companies and tech enthusiasts alike. The vibrant community, as well as its central European location, make the city of Berlin the ideal spot. C³ Crypto Conference will take place March 27th and 28th, 2019. What is the history behind C³ Crypto Conference? In its inaugural year in 2018, C³ Crypto Conference sought to create a positive and, frankly, overdue shift in the direction of crypto education. 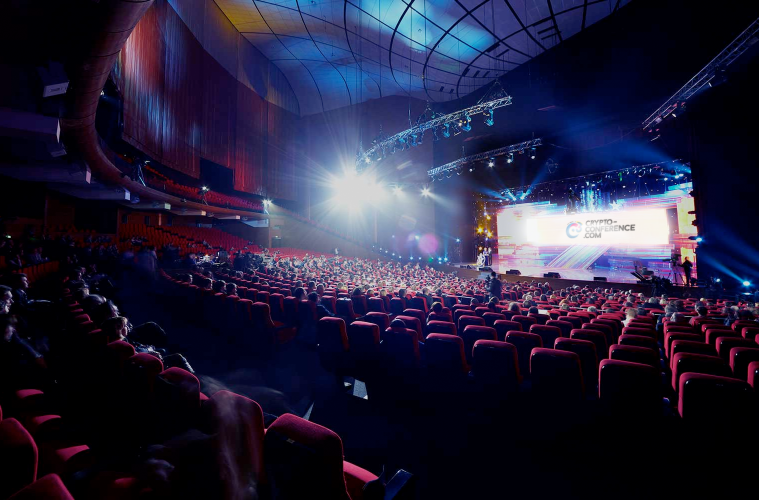 Building upon the success of last year’s event, C³ Crypto Conference 2019 is looking to break down barriers and shake up the typical crypto conference vibe. The first C³ brought some of the year’s biggest names in crypto to Berlin; this year, however, the priorities have shifted. C³ 2019 will create an atmosphere conducive to authentic networking and honest knowledge-sharing across different aspects of the industry, from music to regulation and more. C³ provides a diverse lineup of speakers and original networking opportunities, like speed dating for entrepreneurs and startups. However, one of the most exciting aspects of C³ Crypto Conference is an emphasis on topics that extend beyond simply the crypto community, seeking also to connect future technologies, like AI, IoT, VR, and others. The two-day conference will include expert international speakers, panels, exhibitors, networking and an amazing afterparty. Networking sessions, a diverse lineup of speakers, as well as an intimate setting for authentic learning and interaction. The conference will cater to a wide range of individuals, from lawyers, students, blockchain developers, entrepreneurs, and marketers. A few of the confirmed speakers include Tavonia Evans, creator of Guapcoin; Dr. Mervyn Maistry, CEO and Founder of Konfidio; Sven Wagenecht, Editor-in-Chief of BTC-ECHO; Stephanie Mellow, Co-Founder & CMO of Quorom Control; and Angel Versetti, CEO of Ambrosus. More speakers will be announced in the coming weeks, so be sure to check in with C³ Crypto Conference’s Twitter account for the most up-to-date information. How can attendees get the most out of their C³ experience? Take your time when you are talking to people and networking. This will not be one of those conferences where you are bombarded with exchanging a business card every two minutes. We have speakers who are addressing some very interesting topics and everyone can learn. We are more focused on panel and Q&A talks than keynotes so the audience can also engage and be a part of the conversation. This is not school where you are going to be lectured to, but a place that fosters learning through interaction. Tickets can be purchased online at the C³ Crypto Conference site. We do recommend purchasing tickets ASAP. This year’s conference is limited to an intimate amount of attendees, including exclusive exhibitions, panels, and networking events; and the likelihood is high that tickets will sell out. This year’s conference is really trying to focus on education and letting everyone know that blockchain usage is just not for crypto and token offerings. The usage of this technology can be seen in many fields, so we hope to showcase this by the talks of our speakers and the exhibitors present. It is important to us to convey that this is not going to be your typical conference that is all about the long keynotes and speakers being unaddressable by the audience. It is all about authentic interactions and discussions.